Has flautist Mark Weinstein run out of ideas on how to merge various dialects of Latin jazz with other musical tongues? The answer is a resounding “no.” Latin Jazz Underground finds Weinstein saluting the loft jazz scene of the ’70s by tackling the work of jazz iconoclasts-turned-icons—pianist Andrew Hill and saxophonists Ornette Coleman and Sam Rivers—and like- minded originals. 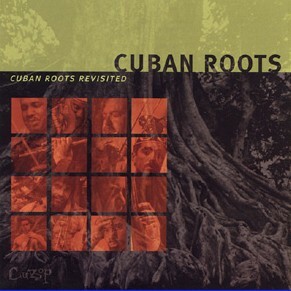 That concept, in and of itself, doesn’t distinguish this project, as plenty of people have traveled down those thorny paths, so the twist comes with the infusion of Afro-Cuban ideals. Such a marriage is a risky union, but one that ultimately works here. There’s really no better person to attempt such a unique hybrid, as Weinstein is an expert at conflating Latin sounds and other styles. He was also around to observe and participate in the loft scene, working with trumpeter Bill Dixon when trombone, not flute, was his instrument of choice. Weinstein deserves the credit for realizing this project and coming up with the Afro-Cuban angle in the first place, but the initial idea to look back to the loft scene came from pianistAruan Ortiz. He previously worked with Weinstein on one of the flautist’s strongest releases—El Cumbanchero (Jazzheads, 2011)—and he does a killer job on this album. Together, Weinstein and Ortiz have managed to do the near impossible: they’ve created common ground for rhythmically scintillating sounds and uncertain tones to walk hand-in-hand over. These two men prove to be expert bridge-builders, but they don’t do all the heavy lifting. A special sort of rhythm section is required for a project that’s so focused on a tight-loose duality. Here, it comes in the form of percussionist Roman Diaz , a player who’s as happy upholding tradition as he is mutating it, drummer Gerald Cleaver, renowned for his ability to work both sides of the free-focused fence, and bassist Rahsaan Carter, an open-minded thinker who comfortably volleys between poles and ideas throughout. 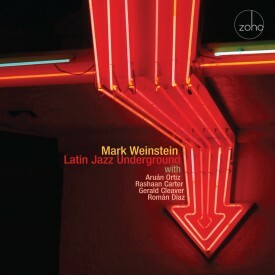 Latin Jazz Underground opens with Weinstein and Ortiz locked together on an angular head, introducing the concept of the day on Ortiz’s “Gregorio’s Mood.” As the piece plays out, the expected unexpected arrives. Strict time evaporates and everybody is invested in the moment. Percussive underpinnings serve the music once things get back on track, but risk still runs through the piece until the very end. The modus operandi for the date is firmly established on this one. The structure-meets-freedom aesthetic is deepened and broadened on Coleman’s “Open Or Close,” a stormier work complete with chanting. Ortiz gets a chance to please with some pummel-and-pounce pianisms, entering the arena as a gladiator of the keys. “Dance Of The Tripedal,” the first of two Rivers pieces on the program, is set in motion by Carter’s bass riff. The relationship between Weinstein’s flute solo and Carter’s bass line(s) comes into focus here, as Ortiz leaves a bit more space for this sonic meeting to take place. The pianist later joins Cleaver and Diaz, as all three carry out a rumble-versus-groove game below. As the program continues, Weinstein turns to his bass flute, serving as musical shaman on Hill’s “For Emilio.” A sense of impending danger informs Ortiz’s “Tete’s Blues,” which is grounded by a slow-and-steady, back-and-forth bass line. Diaz’s jittery clave underscores the journey while Cleaver simultaneously creates and breaks things up, allowing for Weinstein and Ortiz to do their respective thing(s) on top. “Nature Boy” finds Weinstein turning to his alto flute. The performance is loyal to a point, but a slight muddying of the harmonic waters helps to keep things interesting. While this piece is far calmer than most of the other music, the murky, out-of-focus quality that surrounds the melody is in keeping with the general tone of the album. Rivers’ “Mellifluous Cacophony” is tough to grab hold of at first, but things start to really gel when Ortiz, Carter and Cleaver interact. Cleaver-born chaos is met with a degree of calm from Weinstein and Carter on “Mark’s Last Tune,” which closes out the album. That encounter leads to a drum-and-percussion stampede which, in turn, leads to one of the most simple and tuneful episodes on the album. Praising the music that Weinstein makes here is easy, but his most admirable quality goes beyond music and art. He’s a man who never stops growing and trying different things. In that respect, he’s set an example that everybody could stand to learn from.